Right in the beginning of March I introduced you to Brittany of Pro-Soap Propaganda. 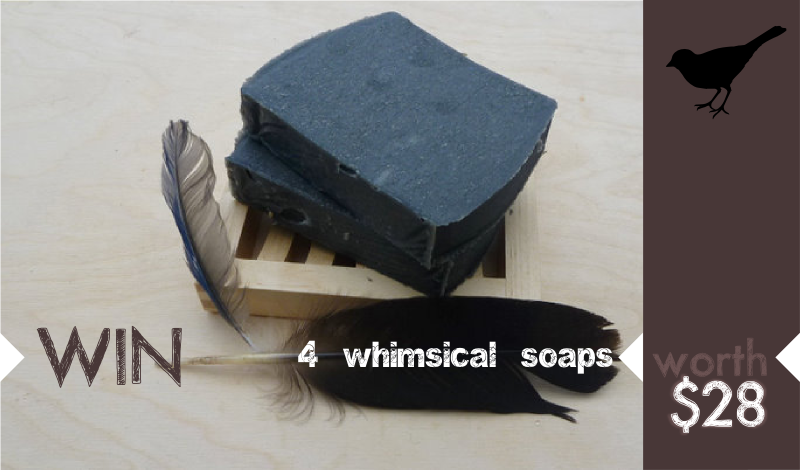 She is now Brittany of Snappy Rockfish Soap and although she has changed the name of her brand she still has that awesome Corvidae Charcoal and Green Tea Facial Bar. Brittany uses organic ingredients for her soap, because she wants to nourish your skin without harming the earth. Her soaps are mostly vegan and she doesn't use artificial pigments for coloring. Instead, she uses herbs and spices for color! 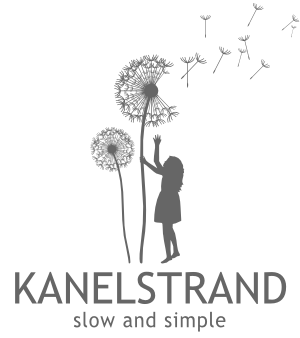 As you might remember, a percentage of Brittany's soap sales goes to funding her extreme Antarctica trip in 2013 but in the meantime she decided to sponsor a whimsical giveaway here on Kanelstrand! Starting today, you have a chance to win a set of 4 soaps worth $28! You can choose any 4 soaps listed in the Snappy Rockfish Soap shop. The giveaway is open worldwide until March 28th. To participate in the giveaway, just follow the Rafflecopter widget. I like the Triple Fish School of Awesomeness Handmade Soaps ! Another fantastic giveaway! Thanks Sonya and Brittany! For me it's definitely the Corvidae Charcoal and Green Tea Facial Bar! I'd love to try the Harriet - Lemon Lavender Handmade Vegan Soap! I like the Triple Fish School of Awesomeness Handmade Soaps. Would love to try the Cafe Au Lait soap! Also Lemon and Lavender. The soaps all look great! Think it would be interesting to try the charcoal one. I love the Midnight Sun - Rose and Clary Sage Handmade Vegan Soap! thank you! I think I would love the Chinook - Grapefruit Orange Handmade Vegan Soap. Malaspina sounds amazing - I love anything peppermint! Click here to take part in my giveaway! My fave is the Fireweed - Lavender Geranium Handmade Soap!! Love the soaps! Sounds like a great giveaway! I think my favorite would be Cafe Au Laid Goats Milk Soap! I want to try the KAKOW soap so badly! These look so good I can't even stand it! I only use homemade soaps and these just look scrumptious! I want to try the Rose & Clary Sage, Lemon Poppyseed, Peppermint Vanilla, and the KAKOW soap! I don't know which I'm most excited by! Thanks Sonya for hosting another wonderful giveaway! I was immediately drawn to the corvidae charcoal and green tea facial bar! it'd be amazing for my face. SO many to choose from but probably this one! Thanks for making this open to Canadians! The grapefruit orange soap is my favorite! The Midnight Sun - Rose and Clary Sage Handmade Vegan Soap looks amazing, but then it all does. I like the Midnight Sun - Rose and Clary Sage Handmade Vegan Soap the most. alessandra lalla vercelli on form. Oooh, lemongrass and ginger sounds divine! My fav is the North Star - Lemon Poppyseed Handmade Vegan Soap (but honestly the rest sounds great as well)! the Chinook - Grapefruit Orange Handmade Vegan Soap sounds heavenly!! I bought one of the wonky bars, idk what kind it is but i really like it :D i want to get some of the green tea and charcoal soap, it sounds like it would be really good on my face. I can only use homemade soap because my skin is so sensitive. I like the Fireweed - Lavender Geranium Handmade Soap. The Rain-Dogg - Rainier Beer and Orange Handmade Vegan Soap sounds interesting! handmade soaps <3 Midnight Sun is my favorite. Lemon Lavender sounds wonderful, with grapefruit orange a close second. Hmmm (Mmmm???) What intriguing scents and combination. The Harriet: Lemon-Lavender sounds lovely and refreshing, as does the Fiddlehead Mojito (quite the combo!) and I must say the Rainier-Dogg (Beer!) soap sounds quite intriguing, not to mention FUN! Everything sounds lovely ... especially the North Star - Lemon Poppyseed. I adore anything lemon! Thank you for this opportunity! The Harriet - Lemon Lavender Handmade Vegan Soap probably smells oh so yummy! I'm not sure- I really like the sound of this black one! I like the vanilla and cocoa.